A potent eye-cream is a must for a bright look , that`s why you shouldn`t discard it when it comes to your daily beauty ritual. In the following I shall introduce you with the latest and best for this very sensitive area of our face that we tend to overlook or treat carelessly. Intensive Vitalizing Eye Complex from Amore Pacific is a gel that contains Bamboo Sap known for its re-mineralizing effects and for its durable hydration. Enriched with Aqua Sponge Complex to surge the level of hydration, it nourishes the eye area and erases fine lines. The Green Tea Leaf extract protects against harmful aggressions, while Caffeine diminishes the under-eye puffiness . Immun Gentle Eye Protection by Klapp promises to combat damaging effects due to aging. 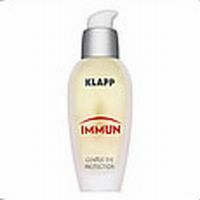 Its biotechnological ingredients strengthens skin`s protection mechanisms, while fighting premature aging. For a youthful eye contour. La Mer comes with two suggestions. The first one is called The Eye Balm, which contains intensive ingredients to soothe your eyes and to reduce the appearance of wrinkles and dark circles. Eyes feel comfortable and look brighter after this treat. 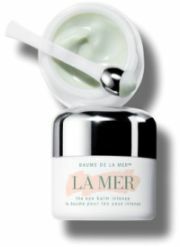 The second product by La Mer is The Eye Concentrate, formulated with Miracle Broth, which ensures the release of energy necessary for cell renewal. 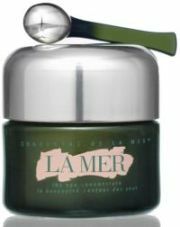 It reduces the fine lines and wrinkles, while gently eliminating under eye puffiness. The eye area remains supple, luminous and healthy-looking. Do not let the price scare you , it`s worth every penny. Lierac comes with its own eye-dedicated range of products, each of them targeting a specific problem. 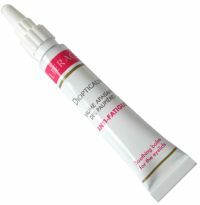 Diopticalm Anti-Tiredness Balm helps reduce swelling, while vitalizing eyelids. It refreshes and fortifies the eye area. Diopticerne Anti - Dark Circle claims to eliminate dark circles and it is ideal under makeup. Dioptilisse Instant Lifting & Ultra Lifting is a light balm that helps minimizing the appearance of fine lines and wrinkles. Instant lifting effect due to incorporated microspheres. Compare and research eye creams. I have always had an impossible time with eye creams. I've tested at least 2 dozen and have yet to find that elusive Holy Grail. If you are looking for a reviewer to try any of these, I am absolutely game. In fact, I'd thank YOU for it.